If we read together, we call the day a success. But besides that, we take the days as they are. If there is an opportunity to read, wonderful. To read the Bible, great. To go outside and just be a kid (that also means being bored! ), that is joy. I must remember to read and play. Is there anything that is more important, vital, for little precious hearts and minds? Not really. The rest is just icing. 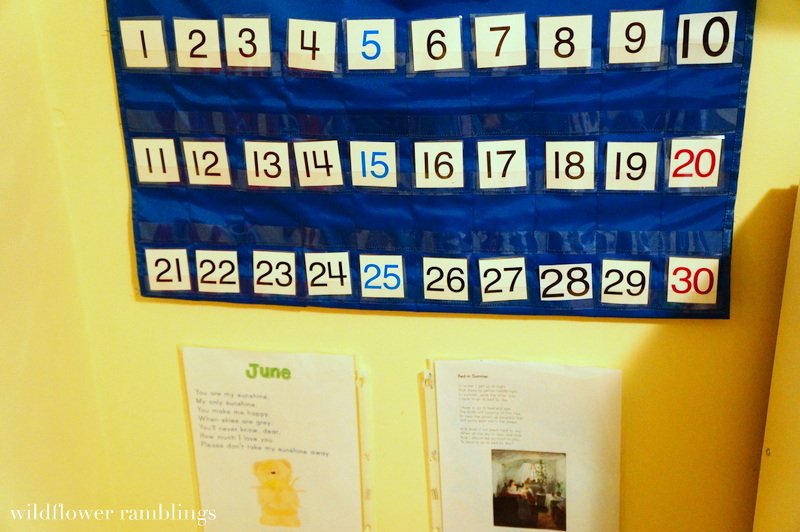 You can see full details of our Preschool Plans here. Below is our schedule, and at the bottom of this post are all of the materials that we use. 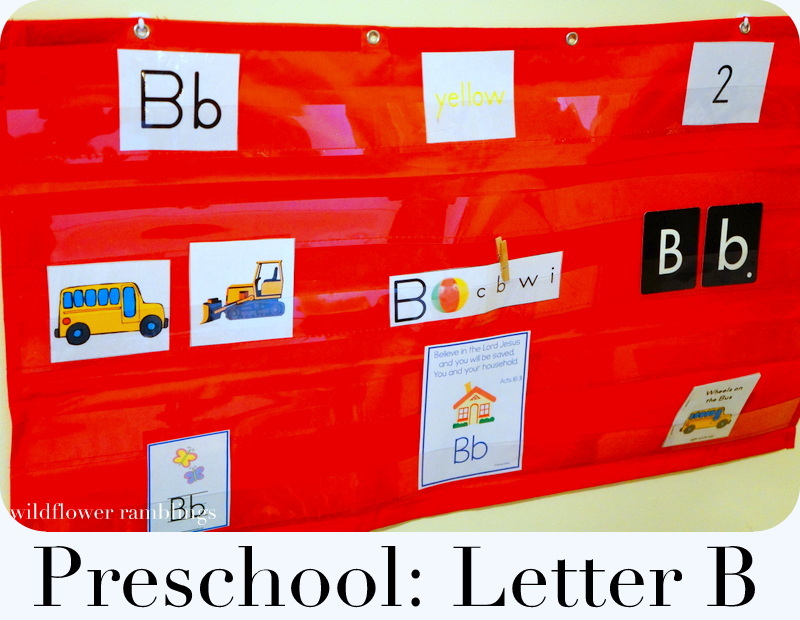 We don’t use all of the listed materials for every letter, but we rotate around the curriculums and supplements. What is the letter of the week? Let’s read our Bible verse together! What is the number of the week? 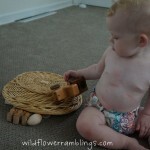 Can you put the clothespin on the little letter? Let’s read our little book together! Let’s count from 1 to 30! Let’s sing the Alphabet Song! This is usually two focused times per letter. 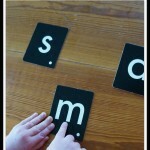 We work on alphabet letter recognition and sounds with various activities, games, and objects from our curriculums. 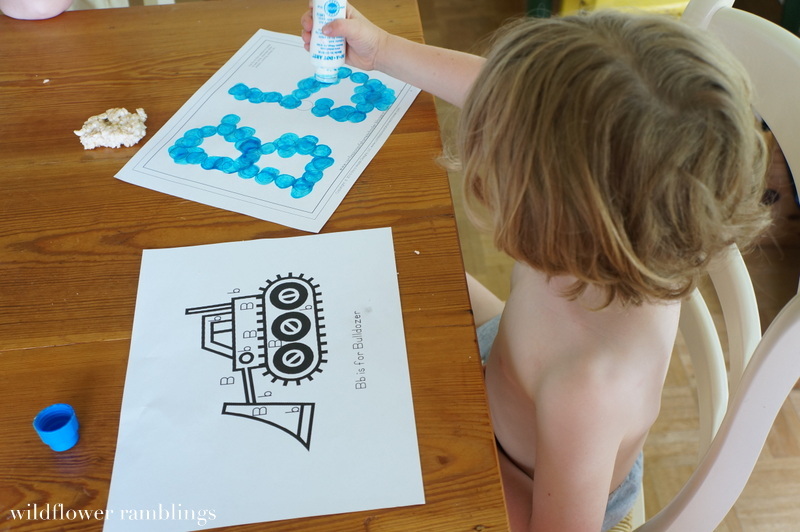 I focus on hands-on learning activities versus “worksheets.” Cutting, gluing, making the letter with various manipulatives (resources are at the bottom of this post) occasionally coloring. We like to do this at the table. I create “stations,” that is, I put out about six activities at once, for him to cycle through. This takes him only 10 minutes max. He grumbles when he sees me putting them out, but then gets excited after beginning the first one. 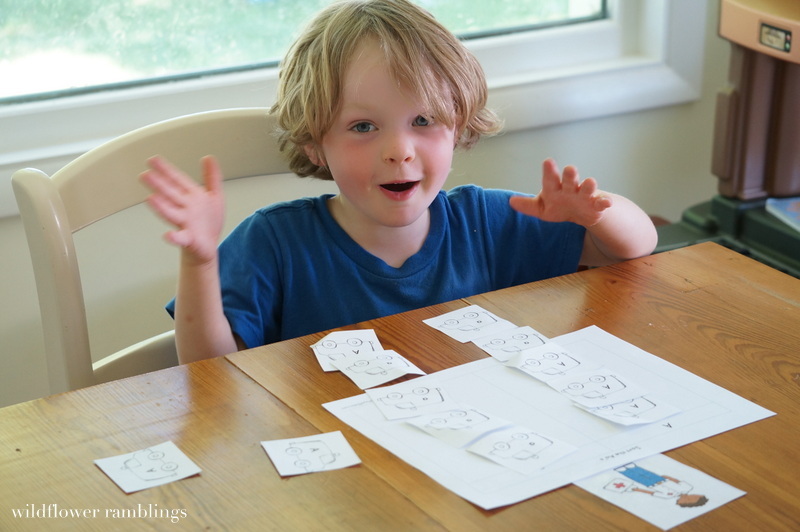 I know my son (see Connecting with my son and how he learns) — I know that he will delight in his work once he gets started. I make sure that he only has one “difficult” sheet on the table. He often asks for a second round of stations after he is done. 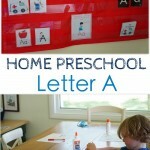 I will usually only do 2-3 rounds of stations per letter. 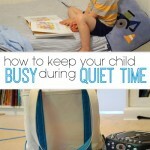 This time is often done with my younger daughter. 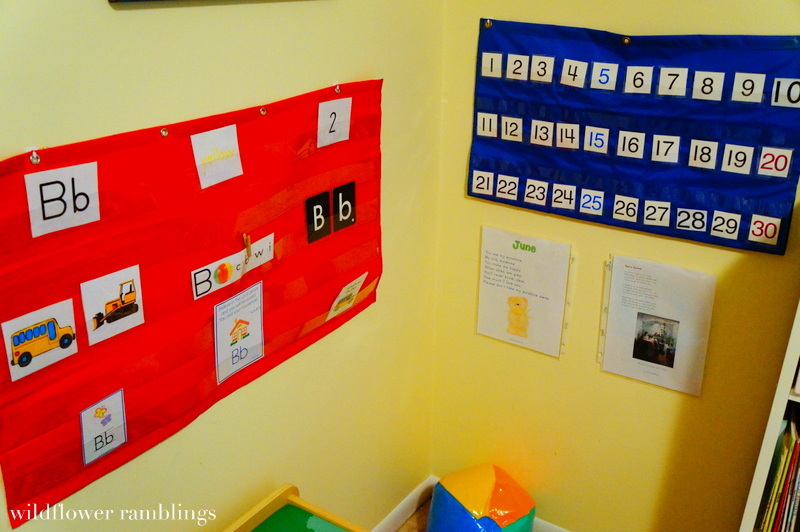 We make sure to make our ABC Felt Animal and our Preschool Alphabet page for the week. 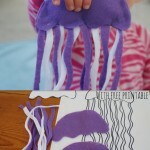 We also try to do another sensory fun activity and a practical life activity. I am trying to stay very low key about this portion of our Preschool plans. 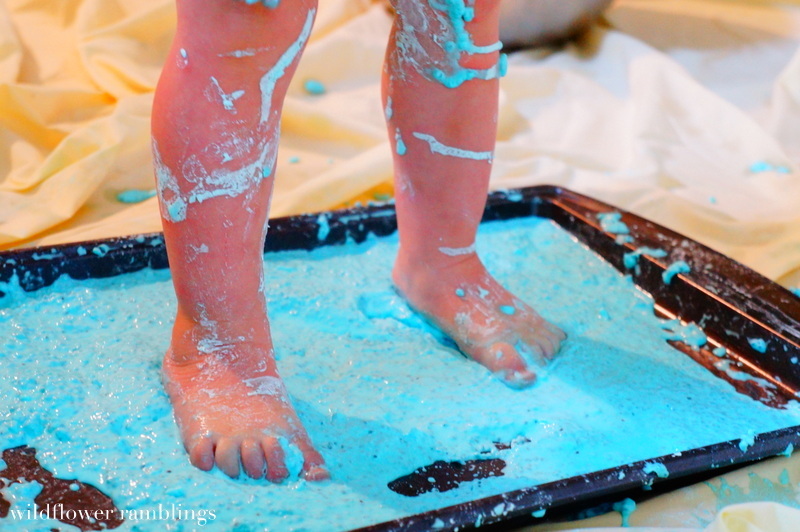 John is not a craft little boy or a messy painty boy, but he does love sensory “clean play” (likes beans or water play) and playdough if I have him on the right day. 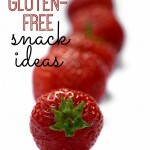 So we will continue with these and enjoy the summer months. 6. We read books and enjoy one another. 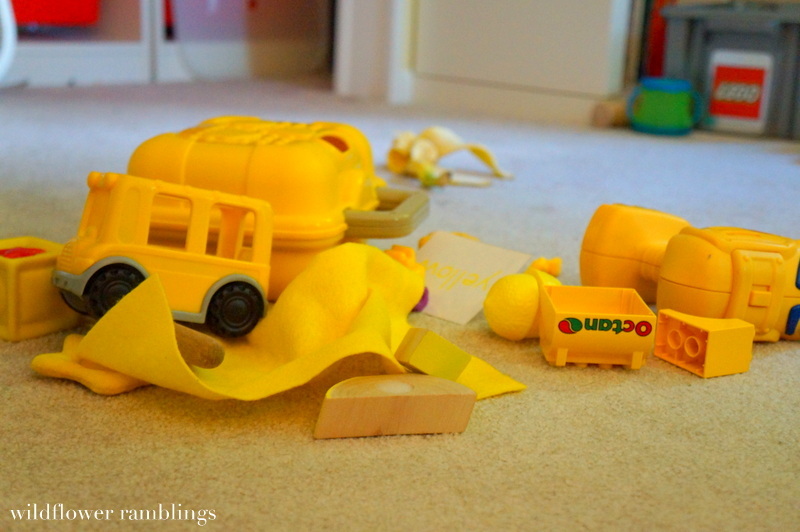 We’re going to find some yellow things. Adapted from our beloved book, We’re Going on a Bear Hunt. 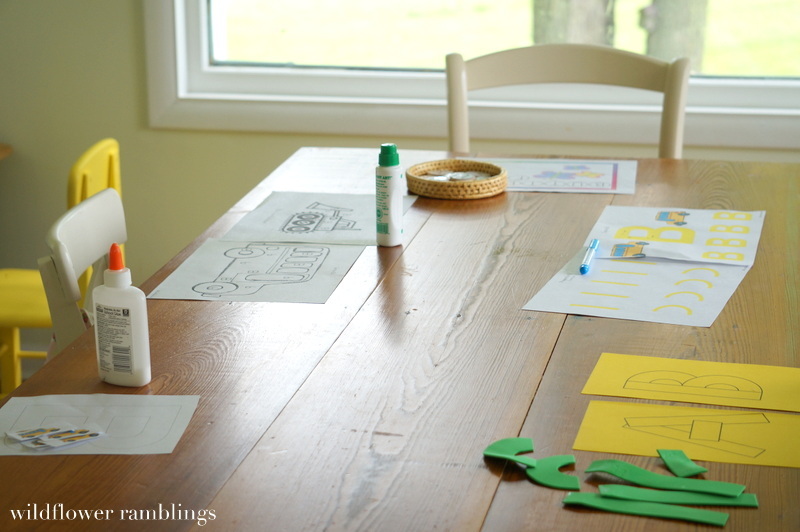 “Stations” on the kitchen table have been working very well for John. 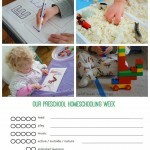 Check out the Learning Stations at The Measured Mom for some wonderful ideas for this presentation for children. This has been a wonderful invitation to work and learn for my son. 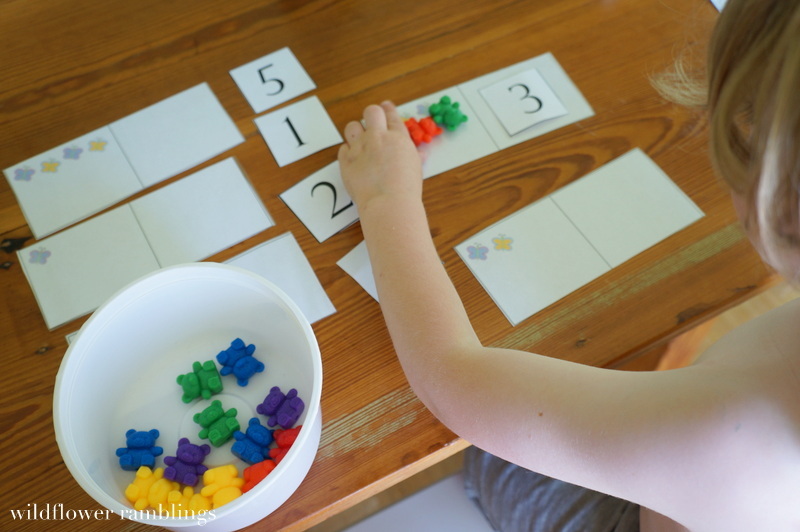 Using Counting Bears for numbers 1 to 5. 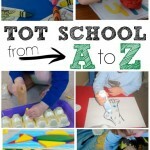 You can see all of the Preschool Materials I recommend here. Our letter work for the week. We are making an alphabet book with uppercase letters. 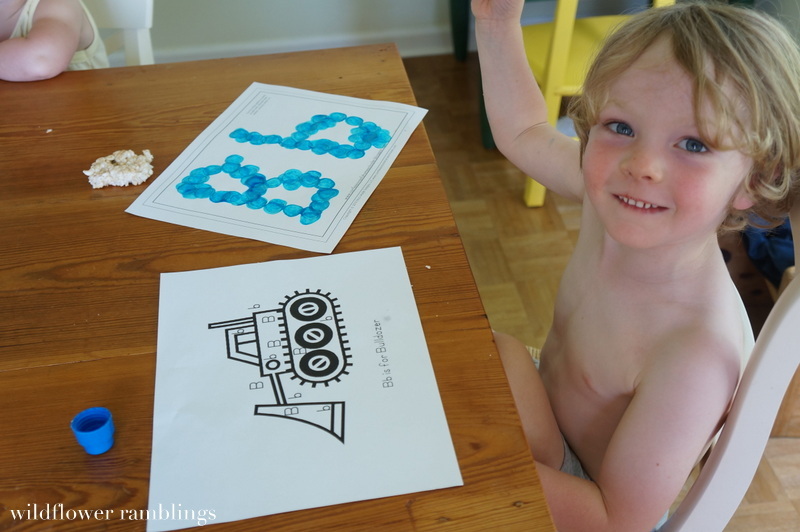 I save these and will put them in a “book” — probably just with three pieces of yarn — for him to remember each letter! 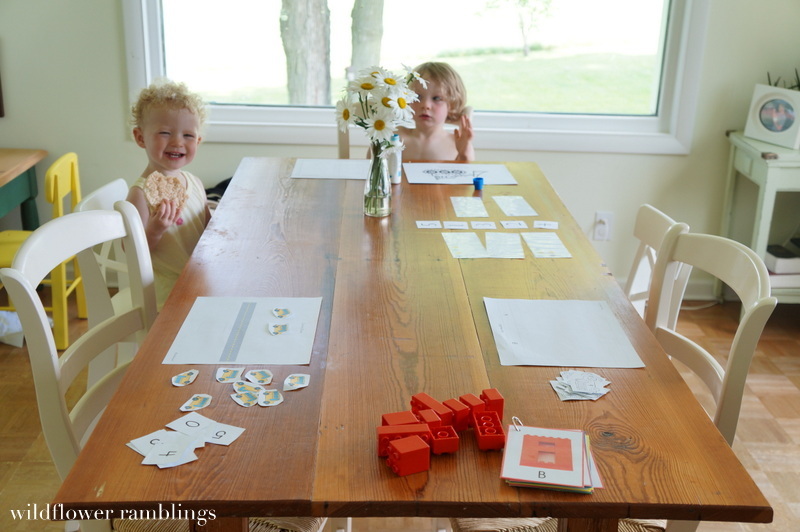 We are using printables from The Unlikely Homeschool. 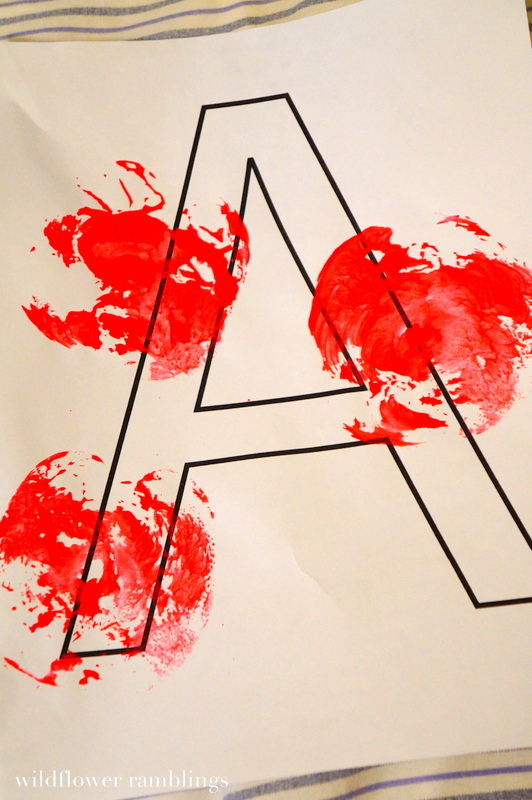 This is simple — just decorate your letter with something related to that letter. 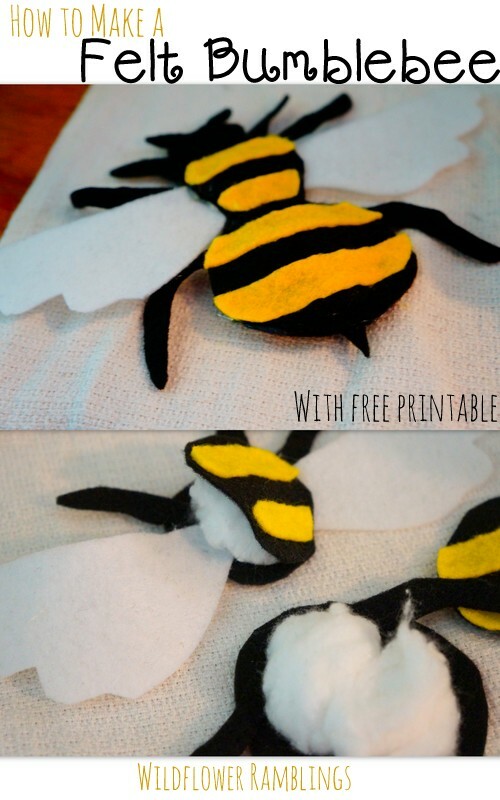 Our felt animal this week was a B is for Bumblebee! 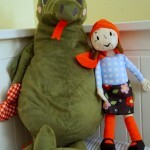 You can check out all of our ABC Felt Animals here. 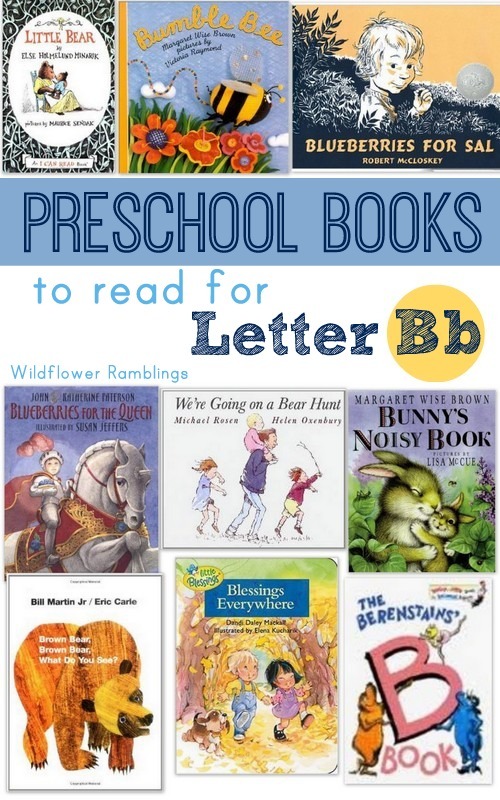 I am starting a new collection of Preschool Books to read for each letter. 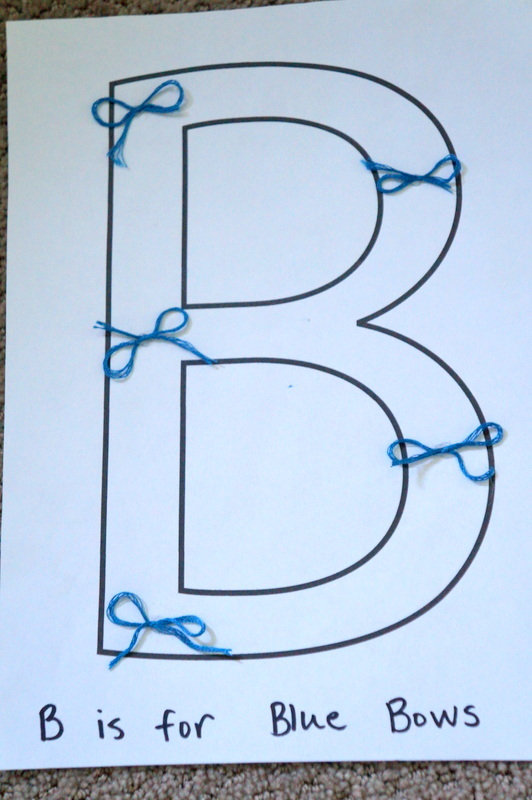 Here is our list for Preschool Books for the Letter B! 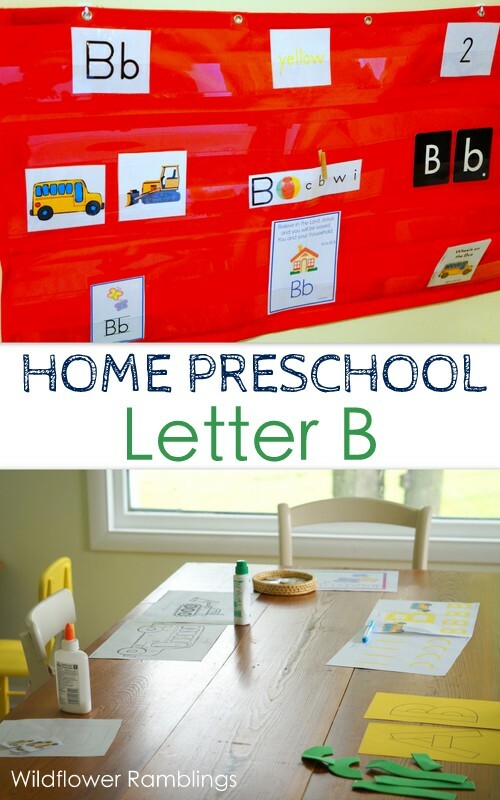 You can also find our Essential Preschool Materials and Craft & Homeschool Materials for Moms for more suggestions!